Most of all, be proactively there and present for your friend. Watching a friend or loved one go through the heartache of losing a child can be a horribly painful thing to do. If you yourself have experienced such a thing, then the pain is acutely familiar to you; but if you haven’t, you may not have the first clue about what to do or say. Below are six things to you can do to show that you’re there and that you care. If a friend or a loved one has just lost a child, you may be inclined to reach out and say to them something like, “Please let me know if there’s anything at all I can do to help,” or perhaps, “Don’t hesitate to reach out if you need anything from me.” But how often do people in need readily and comfortably reach out? If you’re sincere in your offer to help, be proactive and offer it outright instead of waiting to be asked. Rather than sitting around and expecting the family to come to you in their time of grief, put a life preserver right within their reach, and place your hand directly in theirs. One of the last things a grieving family wants to think about after the loss of a child is meal-planning, cooking, and cleaning up — especially if they have children in the house who don’t understand the level of grief they’re experiencing. If you have the capacity to make a home-cooked meal, to bring takeout, or even to just provide them with a gift card to their favorite restaurant, then do it at the first opportunity you have. They’ll be so grateful for the thought, for the meal and for the provision you gave them. 3. Hope for the best, but assume the worst. 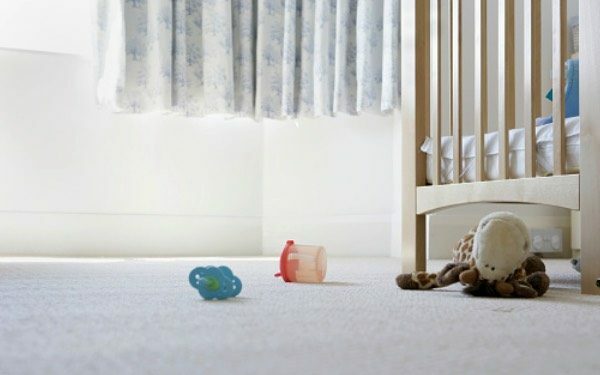 Maybe you yourself have experienced the loss of a baby, or maybe you haven’t — but an important thing to remember is that grief is not linear, and the course it takes through each grieving parent is deeply personal and unpredictable all the same. Time will pass, and you will find yourself as an outlet of support hopeful that the wound is healing — but do not assume that it has just yet. Triggers abound, and the loss of a baby will be with its mother for the rest of her life; so try your utmost to allow her an abundance of safe space to grieve, no matter how much time has passed or the extent to which you figure she should have moved on by now. The last thing a person wants to hear after the loss of their child is that it was for the best, that it was meant to be, or that it all happened this way for a reason. Put yourself in a grieving family’s shoes and remember that platitudes and placations have no place. Instead, do everything you can to empathize, to console and to be a haven where sadness, anger and hopelessness can abound freely and without reservation. Be an outlet for that grieving mother to process everything she’s feeling — whether she chooses to lament outwardly, to curse the ground she walks on, or to retreat deep within herself for an extended period of time. Allow her grief take its course. Don’t be offended if she doesn’t readily interact with you, return your calls or much acknowledge you at all. This isn’t personal, nor is it the time to analyze the health or status of your relationship. People grieve in different ways, and it’s important to show all the grace you can while you watch from the outside as a family processes the loss of their child. If you’re up to your eyeballs at home, if you’re living a thousand miles away, or if you just don’t otherwise have it in you to be on the front lines, do what you can to remind your friend that you’re there, that you love her and that you’re thinking of her. Whether or not she replies right away doesn’t matter; she’ll be endlessly grateful to know that she’s on your mind, because the silence from the people she thought would be there for her can be otherwise deafening. 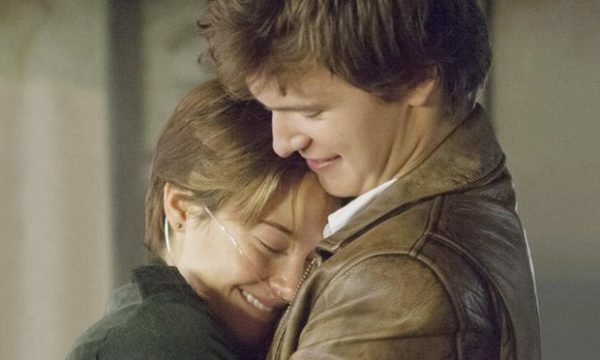 Stand by me: Shailene Woodley and Ansel Elgort as cancer patients who fall in love, in The Fault In Our Stars. In the secular age you don’t need special authorisation to console a dying person. Just learning what it means to be there for someone is enough. “Death literacy” is officially a thing. People go to death cafés; books about death are in demand… and around 55 million people worldwide do it every year. But how do you actually do dying well? And who can dying people turn to for support? Although I know exceptional doctors and nurses who can and do talk with patients about their looming demise, it is something that many don’t feel qualified to do. Traditionally, expertise in dying was thought to be the remit of religion. The Catholic church recently revived their medieval handbook for dying people, Ars Moriendi, now illustrated with drawings of happy families rather than demons, like the original, and handily available in the form of a website: artofdyingwell.org. But what are the options for atheists or agnostics today? When it comes to thinking about what it means to be mortal, many people find themselves in a kind of secular vacuum. But living a life without religion doesn’t mean that you have to be alone at the end. As a secular pastoral carer, I learned that consoling a seriously ill and dying person is something that almost anyone can do, whatever their faith – or lack thereof. You don’t need a special qualification, or a badge, or permission from an authority figure, supernatural or otherwise, just your humanity and determination – and for the suffering person to want someone to be there with them. The first crucial step is turning up. Too often, our anxiety about saying or doing the “wrong thing” leads us to decide not to visit someone. Offering to be there for someone, even if they decline – and they might – is never wrong. Being there for someone means giving your attention to the person not to their illness, and concentrating on listening, not on worrying about what to say. You will need to accept that the dying person may not want to discuss their sadness and fears – at least at first. They may want to talk about the football or the latest episode of Bake Off. Or they may just need someone to sit with them in silence. Remember that it is not unreasonable to feel awkward. You might feel uneasy in the setting, or be distressed by their appearance. But your job is to accept your discomfort and think beyond it. You can show sadness, but do not burden them with your grief. You may need to be supported and comforted yourself afterwards. While there might not be any formal qualifications in death literacy with which you can arm yourself, there are a number of wonderful, entirely secular, books by brilliant writers who are in the process of dying or supporting dying people, from Jenny Diski’s In Gratitude (to Tom Lubbock) and Marion Coutt’s memoirs, which together form an awe-inspiring document of courage, humility and humanity. “I absolve you,” Connie tells him. Ultimately, our humanity is all the authority we need to offer consolation to dying people. [V]elta Lewis died the morning of May 15th in the arms of her husband in the home they had purchased upon retiring three years previously. 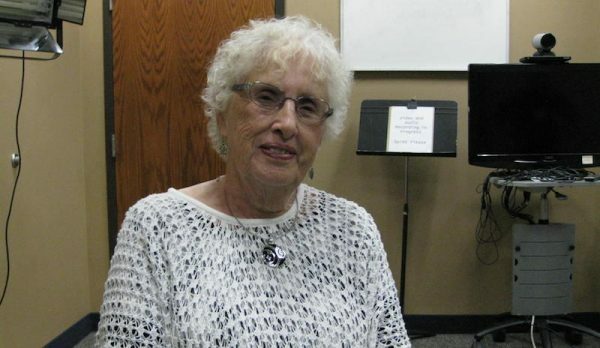 Her death, nine months after the diagnosis of lung cancer, occurred shortly before the couple expected to celebrate their 52nd wedding anniversary during a two-week trip to Paris. My father was devastated. Over the following weeks, I would find him sitting alone in their darkened family room – no television, no radio, no conversation to break the silence – staring with red-rimmed eyes into the past, trails of tears upon his cheeks. If you have experienced the death of a loved one, you understand how grief can stun, even take you to your knees. In the midst of your own pain, it is easy to forget others who suffer. However, in the case of a parent whose spouse has died, it is at this time that your strength and compassion is most needed. Members of the Greatest Generation were no strangers to death. My dad had experienced the passing of his grandmother as a young boy, and witnessed her body resting in the parlor of their house for final viewing, as was the custom in those days. He had spent almost a year in Europe during World War II, losing buddies to the ravages of battle. In the ensuing years, he and my mother buried parents, relatives, and friends, the funerals becoming more frequent as they grew older. They were religious people, neither fearing death, sure of their place in eternity. But generally, the natural order of life is for husbands to go first, not wives. They had worked and saved over the years, expecting to enjoy 5 to 10 years of travel and seeing grandchildren before Dad’s time to go. Mother dying first was unnatural in the grand scheme of things – unlikely, but not impossible. In fact, according to the U.S. Census figures in 2012, husbands are 3.2 times more likely to die before their wives, with 36.9% of women older than 65 widowed compared to 11.5% of men over age 65 who are widowers. To my father, all of their shared preparations for their final days were suddenly pointless. Even when husbands die first, the toll on the surviving wife can be equally overwhelming, particularly if the death is unexpected. The survivor loses not only a mate, but a long-term partner, an everyday companion, and, commonly, a caregiver. Grief and sorrow as well as guilt for being a survivor are common feelings and take time to reconcile. Many survivors report a deep sense of loneliness and isolation that can take months, even years to overcome; the closer the marital relationship, the more depressed the surviving partner is likely to be. Their grief can sometimes have fatal consequences if untreated. A 2013 study by the Harvard School of Public Health found that a surviving spouse over the age of 50 has a 66% increased risk of dying within the first three months of the spouse’s death. Physicians often refer to the “broken heart syndrome,” or stress cardiomyopathy, the result of a sudden stress like the unexpected death of a loved one. If the couple is ill or frail, the consequences of the death of one of the partners is particularly distressing for the survivor. Together, they can live independently by relying on each other. When one dies, the other may not be capable of living alone, and must cope with the loss of their spouse and, possibly, their independence. Since many elderly couples divide the tasks of everyday living – for instance, one may cook meals and mow the lawn, while the other pays bills and handles home repairs – the loss of one of the partners may leave the other unequipped or unable to add the new tasks necessary for everyday existence. For instance, Jackie Buttimer of Bethesda, Maryland had never balanced a checkbook and rarely used a computer before her husband of nearly 50 years died in April 2010. “It’s a huge learning curve, and I had never lived alone,” says Buttimer. Losing a partner affects older adults in multiple ways: Some may continue to function without appearing to be excessively affected, while others are incapable of completing the smallest task. At the same time, you will be grieving for the loss of a mother or father and perhaps recognizing your own mortality. It is important to handle your own grief and fears, but remember that losing a mate is not the same as losing a parent. If possible, your priority should be to comfort your parent first, recognizing that, at times, you may need to withdraw to grieve and recharge. Do not be reluctant to ask for help from other family members or friends. Many people are willing to help, but hesitate to intrude during this very emotional time. They need your guidance to help in ways that are beneficial, whether it is providing meals, performing needed household duties such as washing clothes or mowing the lawn, or spending time with your parent in conversation and consolation. There is no definite mourning period or average time to return to “normal.” People do not easily get over their pain; they eventually learn to cope with it as time softens the loss. Some parents may want to talk about the deceased, while others avoid the subject, especially if the death was painful or unexpected. Take your cues from your parent. Shortly after my mother’s death, my father and I took a week-long automobile trip to visit the locations of his childhood, the hours in the car filled with his recollection of the memories of their life together. We laughed, we cried, and we both felt better. Remember that grief will usually resurface in the years ahead at holidays, birthdays, anniversaries, and any special family days. If and when emotions resurface, it is important to acknowledge and share the feelings. Notification of the Proper Authorities. If the death occurs at home, as in my mother’s case, a hospice representative and a physician are required to pronounce death and dispose of any restricted pharmaceutical drugs remaining unused. If the death was unexpected, a coroner or medical examiner may be required at the scene. The medical personnel typically make arrangements to transfer the deceased to the mortuary of choice. Making or Reviewing Funeral Arrangements. In many cases, arrangements have been made concerning the disposition of the body (burial or cremation), burial sites, and funeral services. The arrangements need review, and occasionally change to accommodate the last wishes of the deceased or surviving spouse. This is a particularly emotional time which some unscrupulous funeral directors may attempt to exploit by up-selling to more expensive caskets, extensive flower arrangements, or elaborate tombstones. The best counsel is to follow the wishes of the deceased as close as possible, assuming the arrangements were made under less emotional circumstances. Contacting Family, Friends, and Clergy. Family members, often spread across the continent, need to be contacted and informed of funeral arrangements, with time between the death and service for those to travel if necessary. Close friends should be contacted personally with the request that they contact others who might wish to pay their respects. Churches often respond immediately when noticed of a member’s death with offers of meals and other help. Notifying Legal, Financial, and Government Authorities. While these duties can be delayed until after the funeral and receipt of death certificates, the Social Security Administration should be notified so that monthly benefits can cease and survivor’s benefits can be initiated, if available. Life insurance claims should be filed. Institutions which provide jointly-owned bank accounts, credit cards, or other property need to be notified and provided with proper documentation to transfer ownership as dictated by the will of the deceased. If an attorney has not been previously involved in estate planning, seeking counsel to proceed most efficiently to probate any will and settle the estate may be wise. Delaying Payment of Medical Bills for the Deceased. In the weeks following my mother’s death, my dad was deluged with medical bills relating to my mother’s care and death, even though the costs had been incurred in her name and covered by Medicare. Information systems in the medical industry are notably inefficient, outdated, and inaccurate. As a consequence, many providers continue to bill my deceased mother, even though accounts had been previously paid or were not legally due. My father, wishing to honor my mother’s good name, would pay the accounts, being unable to determine whether the balance was legitimate or not. In the event of a death, it is wise to delay any medical payments for the deceased for a minimum of three months so that billings and collections can be properly recorded and amounts owed properly reconciled. Depending upon the planning preceding the death, the ability of the survivor to handle legal and financial matters, and the complexity of the estate, there will almost certainly be additional cases where the help or guidance of a child to protect the interests of the surviving parent will be necessary. Forgetfulness. Missing appointments, locking keys in the car, or mailing unsigned checks with bills are all signs that your surviving parent may have difficulty focusing. Be patient and suggest written reminders to stay focused. Disorganization. Taking longer or failing to complete one task before beginning another is often seen in grieving adults. Written schedules can help. Inability to Concentrate. Grief causes the mind to wander, so reading a book or watching a television show can be difficult. Be especially alert if your parent continues to drive an automobile or operate dangerous machinery. Lack of Interest or Motivation. Your parent may question the purpose of life or why any effort is worth doing. Listen to them, express love and support, and keep trying to get them involved in something beyond their immediate environment. Fascination With Death or the Hereafter. While it’s natural to think about it following a death, a fixation on death combined with depression can lead to suicide. Involve a therapist immediately. While most people gradually recover from the death of a long-term spouse, there are unique problems and circumstances that can complicate or extend the healing process. As their child, you should be cognizant of the potential areas which can cause obstacles and seek to minimize them. The death of a spouse emphasizes the physical fragility of the survivor. As people grow older, muscle strength declines, and problems with balance and gait appear. Neurological conditions such as Parkinson’s, high blood pressure, neuropathy, and vision problems such as glaucoma and cataracts can cause unsteadiness and falls, and may require certain medications. A pair of people living together can look after one another and call for help when necessary – but a person living alone lacks that security. If your elderly parent wants to live alone but may be subject to falls, consider improving the physical environment of the home by removing loose rugs, installing railings on stairs, adding ramps, and putting grab bars in the bathrooms. Adding a home monitoring system may give you and your elderly parent peace of mind. During the 50-plus years he was married, my father rarely wrote a check, paid a bill, or determined which investments were made in the family’s retirement accounts. In other families, the wife may have let her husband take care of all financial matters. Some surviving partners do not know how to cook or to drive a car. When a spouse dies, the survivor is required to assume new responsibilities, which can be overwhelming. Fortunately, technology has become increasingly simple, so that even the most unfamiliar can learn basic tasks necessary to everyday life. Encourage your parent to sign up for community courses for the elderly in local colleges, universities, local chapters of the American Association for Retired Persons (AARP), or senior centers. They may find friends with common interests and learn new skills that will allow them to connect with a broader world. Problems with the level or management of assets can arise after the death of a spouse. For example, a husband and wife typically draw two Social Security checks each month. With the death of one spouse, income is reduced. Annuity or retirement plan distributions may also be changed. In many cases, the deceased spouse may have been responsible for making day-to-day management decisions in the family retirement portfolio, expertise that is no longer available with the passing of the partner. Depending upon the will and wishes of the dying spouse, control of the assets may rest solely with the survivor, potentially complicating efforts to protect their financial interests. Unfortunately, surviving elderly spouses are popular targets for con-men, crooks, and unscrupulous investment salesmen. If you have suspicions that your parent is unable to rationally make investment decisions or under the influence of those who do not have his or her best interests in mind, seek legal help immediately. Grief has physical consequences – loss of appetite, trouble sleeping, headache, fatigue, muscle tension – which generally result in decreased exercise, deficient diet, and an over-reliance on medication. If your parent seems to be stuck in a continuing cycle of depression, seek psychological help and encourage them to talk to friends or a spiritual advisor. Trying to help your parent recover from death-related grief is akin to rescuing someone from drowning. You may be struggling with your own depression and feelings of guilt and regret. If you find that you cannot help your father or mother without sacrificing yourself in the process, ask for help from other family members, a friend, or a mental health professional. Take time for yourself and your immediate family and seek a support group if necessary. Be sure you maintain a good diet, keep exercising, and get plenty of sleep. And focus on the good memories of the parent who is gone as well as the one who survives. Remember that time will eventually lessen your pain. My father eventually followed my mother in death. He was unafraid, even excited, since he believed that his wife was waiting on the other side, and the two would spend the rest of eternity together. While helping my dad through his grief at my mother’s passing was at times inconvenient and frustrating, I have no doubt that our relationship deepened and strengthened as a result. If the occasion arises where you are called to help one of your parents after the death of your other parent, welcome the opportunity to share your grief and express your love. Like births, death can show us the joy of life and family. What other tips can you suggest to help a parent deal with the death of a spouse? [P]utting one’s life on the line for a cause is nothing new to lobbyist John Radcliffe. The deft negotiator made a career of it. But now he literally is doing so to awaken our community to an issue. If he and supporters are successful, Hawaii will be among seven states to legalize medical aid in dying. Radcliffe, 74, who is terminally ill with stage-four cancer, has been in the news a lot lately to express his wish to have access to life-ending medication should his suffering become unbearable. But currently in Hawaii that is a crime. Through legislative and legal action, Radcliffe hopes to empower individuals to make life-ending decisions that do not subject doctors to prosecution in order to assist patients in that process. Radcliffe’s family is in full support of his wish, but unless things change, this will not be among the options available to him when he suffers prolonged, debilitating pain. Words matter in discussing this sensitive issue. So Radcliffe is quick to set parameters on what he is — and isn’t — talking about. Aid in dying, he emphasizes, is not assisted suicide or euthanasia. “To a terminally ill person, the term ‘assisted suicide’ is offensive and hurtful,” the Makiki resident says. “I want to live, but my condition is incurable. There is no hope for a better outcome. “Suicide is secretive and often impulsive, without involvement of family, friends or health care professionals,” he adds. Medical aid in dying also is known as death with dignity. “The issue is really about dignity, pain and unnecessary suffering,” Radcliffe says. “I come from the position that you should do as much as you can as well as you can for other people for as long as you can. “I am in a unique situation to do that,” asserts the government relations expert. Radcliffe was diagnosed with incurable colon cancer in 2014 that has metastasized to his liver. He’s been hospitalized three times, been in the emergency room 15 times and has had 42 chemotherapy treatments. He took his 43rd chemo treatment Wednesday, Jan. 18, while seated next to state Sen. Rosalind Baker at the opening of the state Legislature. That’s a bit dramatic, we say about his unorthodox tactic of persuasion. As a union organizer and lobbyist for four decades, including 13 years as executive director of the Hawaii State Teachers Association, Radcliffe knows that addressing social problems with lawmakers is not easy. His credibility is at stake. 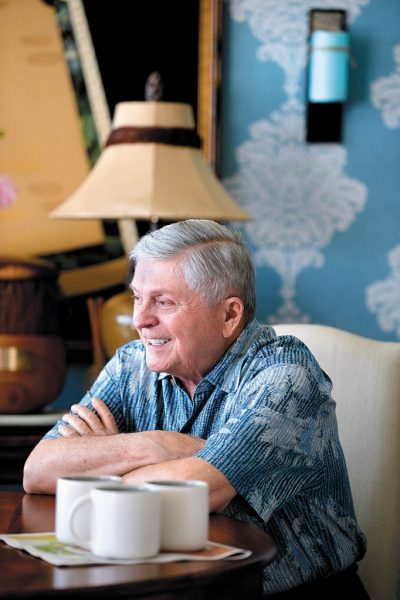 “The legislators know me,” says the co-founder and president emeritus of Capitol Consultants of Hawaii. “They trust me. They know I won’t lie to them or give them bad information. “But I can’t imagine that with 80 percent of voters being in support that they would be opposed,” Radcliffe suggests. A poll conducted last November by Anthology Research shows 80 percent of Hawaii voters across all demographics believe a medical aid in dying option should be legal. Strong support (55 percent) outweighs strong opposition (8 percent) by an almost seven-to-one margin, while 12 percent oppose the option. “This is about the ability to have a choice when you’re suffering,” Radcliffe states. “It’s comforting to some people to know they have a choice, as it is to me. That’s the second strategy he and the advocacy organization Compassion & Choice Hawaii will mount after years of failing to get legislation passed. 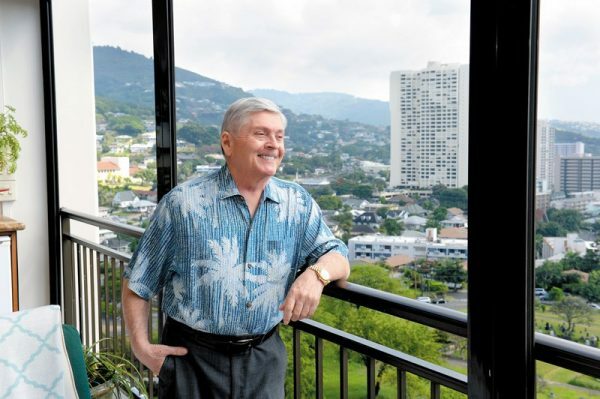 Radcliffe, retired oncologist Dr. Chuck Miller, and Compassion & Choices Hawaii are plaintiffs in a lawsuit against the state of Hawaii asserting that the Hawaii Constitution and existing state law allow the practice of medical aid in dying. “Mr. Radcliffe can’t wait and see whether the courts or the Legislature will ultimately solve this question, but our hope is that this option will be made available to him as soon as possible. By filing litigation now, we have put the process in motion on all fronts,” says Mary Steiner, Compassion & Choices Hawaii campaign manager. Aid in dying currently is permitted legally in Oregon, Washington, Montana, Vermont, California and Colorado. In Hawaii, a Governor’s Blue Ribbon panel on living and dying with dignity in 1998 recommended changing existing laws, rules and practices to give wider choices in end-of-life decisions, including physician-assisted death. End-of-life options include declining treatment or avoiding unwanted medical treatment, palliative care (pain management) or VSED (voluntarily stopping eating and drinking). Radcliffe’s is not the only story of a terminally ill person seeking end-of-life options. There are many stories of patients, families and friends who know the plight of long-suffering individuals. There are heart-wrenching accounts of bewildered care-givers who experience the helplessness and difficulty of aiding agonized loved ones. They suffer in silence. But proponents of legislation urge citizens to let their voices be heard, whether it’s by letters to legislators, testimonies to help educate the community, or joining forces to add representation to the cause. “If this means anything to people, they must show up,” Radcliffe urges. “This is the year that this must happen. “It’s too late for me. But it doesn’t have to be for others,” he implores. Opponents cite spiritual, moral and modern medical advances to counter the need for more options. In fact, emotions run high when the dialogue is about death — the D word. “Local people no like talk about dis kine stuff,” Radcliffe says. in polite society. But with Hawaii’s aging population, it is an essential and timely topic for private and public discourse. In Oregon, for instance, end-of-life care reportedly is improved since the law’s implementation in 1997. It is said to be thanks in large part to the dialogue the law encourages between people and their doctors. Hospice use is high and referrals are up, as is other use of palliative care. But what of the man to whom we address this living eulogy? “I want to be remembered as a good, loyal friend and a decent human being,” he says. Many will remember the contributions John Radcliffe has made to this community. He has spent his life fighting for causes. This will be his last and perhaps best fight. That’s what living well and making a difference is all about. [M]ost Americans are unprepared for the worst to happen—an accident or an unexpected illness that leaves them brain dead, but still alive. That’s what happened to Terri Schiavo, a young woman who became comatose after suffering a heart attack in 1990. Schiavo was kept alive by a feeding tube for fifteen years. During that time, her husband tried to withdraw the feeding tube, but was adamantly opposed by Schiavo’s parents, Congress, and President George W. Bush. After a highly publicized legal battle, the feeding tube was finally removed and Schiavo died two weeks later. This protracted battle might have been avoided, if Terri Schiavo had completed a document known as an advance directive. 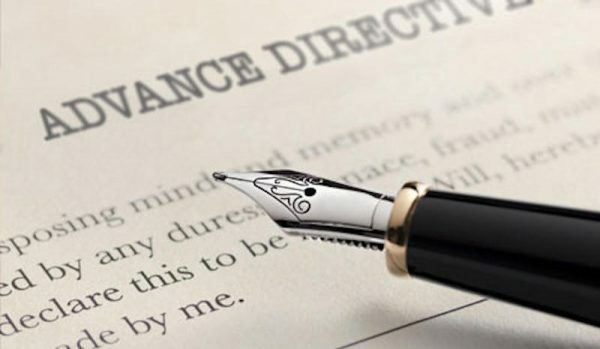 The advance directive is a legal document that has two parts. One specifies the kind of medical care a patient wants if he is no longer competent. For example, CPR if his heart stops, feeding tubes if he can no longer eat on his own, IV fluids for hydration. Or he can refuse any or all of these interventions. The patient also designates someone trusted who can make medical decisions on his behalf if he is unable to. The Schiavo case brought more public attention to the importance of having an advance directive. But that interest quickly receded. Today, only a third of all Americans have completed an advance directive. Dr. Ruma Kumar, a palliative care specialist and regional medical director with Kaiser Permanente of Northern California, says that many patients are too afraid to plan for their future health care and their doctors are often reluctant to bring up planning. According to Kumar, doctors don’t have the time to engage their patients in extended end-of-life conversations. “Or if you bring up planning, you might make the patient nervous that you’re giving up hope in their treatment plan,” she says. Butler is a Bay Area journalist who wrote the best-selling memoir “Knocking on Heaven’s Door: The Path to a Better Way of Death.” In her book, Butler described her own difficult experiences, trying to get her father’s advance directive enforced. She recalls going up against a wall of resistance when his physician refused her request to withdraw treatment for her dying father. One place Katy Butler might have gone for help was La Crosse, a small city on the Mississippi River in Wisconsin. La Crosse is known for its steamboats, Wisconsin cheese, and its excellent end-of-life care. La Crosse is the home of the Gundersen health system, ranked in the top one percent of hospitals nationwide. An astounding 96 percent of all La Crosse residents who died last year had completed advance directives. That figure far exceeds the number of people who complete advance directives in the Bay Area and the rest of the country. 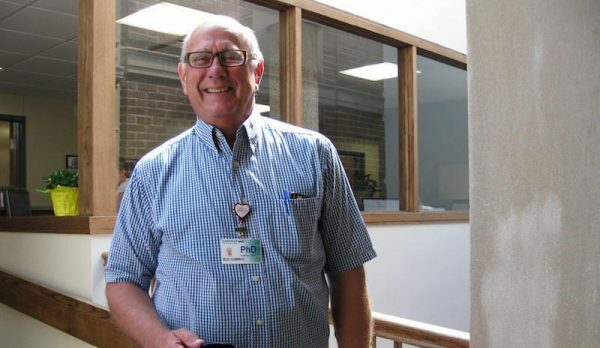 To change the culture at Gundersen, Hammes convinced hospital administrators in the late 1980’s that end-of-life care needed to be given higher priority. An electronic medical record system was created to document patient preferences. That way, advance directives are easily accessible and can’t get lost. 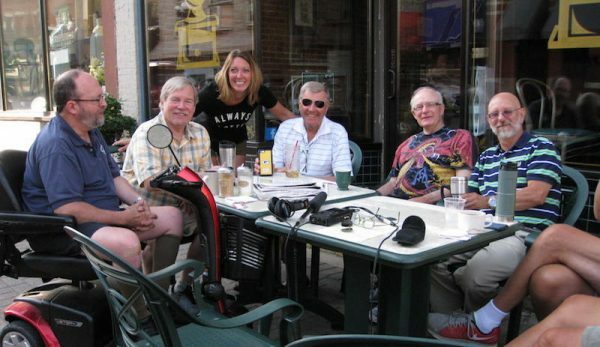 The Gundersen program was so successful that Hammes took it city-wide. In the early 1990’s, Gundersen partnered with the other three local hospitals and formed a coalition called “Respecting Choices”. It brought churches, social service agencies, and nursing homes together and trained their staff to do community education and outreach. This concerted 25-year campaign has done much to raise public awareness around end-of-life planning and advance directives. But replicating the Gundersen model throughout the entire Bay Area presents huge challenges. Bringing together all the hospitals and the hundreds of churches, senior facilities, and social service agencies would be extremely difficult and expensive. In addition, the Bay Area has a much larger, diverse population with multiple languages and cultures. Without language-proficient facilitators, outreach to all sectors of the Bay Area would be nearly impossible. 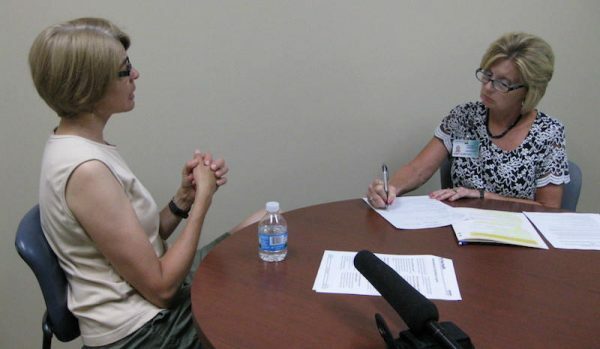 Educational outreach efforts largely depend on volunteers organizations like the East Bay Conversation Project, a community-wide coalition working to help people plan their preferences for care at the end of life. At a recent gathering in Berkeley, Alison Rodman and two other volunteers talked to a group of seniors on how to complete an advance directive. She tells them that forms are available on-line. “It’s a pretty simple document that’s legal and you don’t have to go through great expense by using a lawyer or having it notarized,” Rodman explains. Jim stopped agonizing over his mother’s death, now that he no longer had to guess at what she wanted. Thanks to her advance directive, Jim and Leah were able to avoid the guilt and conflict that had torn apart the family of Terry Schiavo over 20 years ago. 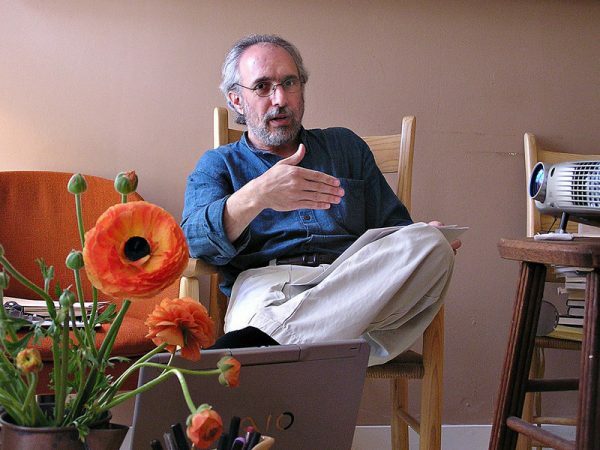 Dr. Lonny Shavelson heads Bay Area End of Life Options, a Berkeley, Calif., medical practice that offers advice and services to patients seeking aid in dying under the state law enacted last June. [I]n the seven months since California’s aid-in-dying law took effect, Dr. Lonny Shavelson has helped nearly two dozen terminally ill people end their lives with lethal drugs — but only, he says, because too few others would. Shavelson, director of a Berkeley, Calif., consulting clinic, said he has heard from more than 200 patients, including dozens who were stunned to learn that local health care providers have refused to participate in the state’s End of Life Options Act. Across California, and in the five other states where medical aid-in-dying is now allowed, access is not guaranteed, advocates say. Hospitals, health systems and individual doctors are not obligated to prescribe or dispense drugs to induce death, and many choose not to. In Colorado, where the nation’s latest aid-in-dying law took effect in December, health systems covering nearly third of hospitals in the state, plus scores of clinics, are refusing to participate, according to a recent STAT report. Even in Oregon, which enacted the first Death with Dignity law in 1997, parts of the state have no providers within 100 miles willing or able to dispense the lethal drugs, say officials with Compassion & Choices, a nonprofit group that backs aid-in-dying laws. Lack of access was also an issue for Annette Schiller, 94, of Palm Desert, Calif., who was diagnosed with terminal thyroid and breast cancer and wanted lethal drugs. 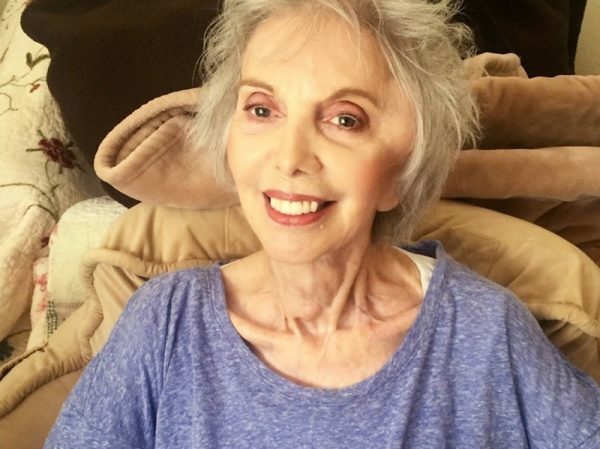 Annette Schiller of Palm Desert, Calif., who was 94 and diagnosed with terminal thyroid and breast cancer, had trouble finding doctors to help her end her life under California’s new aid-in-dying law. Opponents of aid in dying cite providers’ reluctance as evidence that the laws are flawed and the practice is repugnant to a profession trained to heal. “People consider it a breaking of professional integrity,” says Dr. David Stevens, chief executive of Christian Medical & Dental Associations, which has worked to stop or overturn aid-in-dying laws in several states. But those decisions can effectively isolate people in entire regions from a legal procedure approved by voters, advocates said. In California’s Coachella Valley, where Annette Schiller lived, the three largest hospitals — Eisenhower Medical Center, Desert Regional Medical Center and John F. Kennedy Memorial Hospital — all opted out of the new state law. Affiliated doctors can’t use hospital premises, resources or systems in connection with aid in dying, hospital officials said. Doctors may provide information, refer patients to other sources or prescribe lethal drugs privately, Williamson said. “All we have done is say it can’t be done in our facility,” he added. In practice, however, that decision has had a chilling effect, says Dr. Howard Cohen, a Palm Springs hospice doctor whose firm also prohibits him from writing aid-in-dying prescriptions or serving as an attending physician. Patients eligible for aid-in-dying laws include terminally ill adults with six months or less to live, who are mentally competent and can administer and ingest lethal medications themselves. Two doctors must verify that they meet the qualifications. Many doctors in California remain reluctant to participate because of misunderstandings about what the law requires, says Dr. Jay W. Lee, past president of the California Academy of Family Physicians. “I believe that there is still a strong taboo against talking about death openly in the medical community. It feels like a threat to what we are trained to do: preserve and extend life,” Lee says, adding that doctors have a moral obligation to address end-of-life concerns. There’s no single list of doctors willing to prescribe life-ending drugs, though Compassion & Choices does offer a search tool to find participating health systems. “They don’t want to be known as the ‘death docs,’ ” says Shavelson, who has supervised 22 deaths and accepted 18 other people who were eligible to use the law but died before they could, most within a required 15-day waiting period. Officials with Compassion & Choices said past experience indicates that more providers will sign on as they become more familiar with the laws and their requirements. At least one California provider, Huntington Hospital in Pasadena, originally said it wouldn’t participate in the law, but later changed its position. Other health systems have opted to not only participate, but also to help patients navigate the rules. Kaiser Permanente, which operates in California and Colorado, has assisted several patients, including Annette Schiller, who switched her supplemental insurance to Kaiser to receive the care. Within weeks, Schiller was examined by two doctors who confirmed that she was terminally ill and mentally competent. She received a prescription for the lethal drugs. On Aug. 17, she slowly ate a half-cup of applesauce mixed with Seconal, a powerful sedative. It could be a helping hand for the terminally ill. The moment of death: Researchers first used headset to trick participant’s brain into thinking their VR body is real. Then, they were taken out of the body to simulate an out of body experience. [R]esearchers have revealed a virtual reality simulation that can help people comes to terms with death. It teaches then how to become ‘disconnected’ from their physical bodies. Mel Slater at the University of Barcelona, Spain, and his team used an Oculus VR headset on 32 patients. ‘Immersive virtual reality can be used to visually substitute a person’s real body by a life-sized virtual body (VB) that is seen from first person perspective,’ they wrote. Researchers fool the volunteers into thinking the virtual body was their own. While wearing a headset, the body would match any real movements the volunteers made. They were also fitted with movement sensors and vibrating units on their hands and feet. When a virtual ball was dropped onto the foot of the virtual body, a vibration was triggered on the person’s real foot. Once they became ‘in sync’ with the virtual body, participants were then transported to a virtual living room in which they could move their legs and kick balls thrown at them from a distance. Then, they were taken out of the body. ‘The viewpoint of the participant was lifted out of the virtual body towards the ceiling of the virtual room, and just behind the body, so that the body could be seen below,’ the team wrote. ‘Fear of death in the experimental group was found to be lower than in the control group. ‘This is in line with previous reports that naturally occurring OBEs are often associated with enhanced belief in life after death. People who had felt totally disconnected from their body – and the virtual body – reported having a significantly lower fear of dying. ‘The effect was quite strong,’ Slater told New Scientist. He hopes the experience might give a feeling that a person’s consciousness is separate from their physical body. ‘It gives a sense that it’s possible to survive beyond death,’ he says. 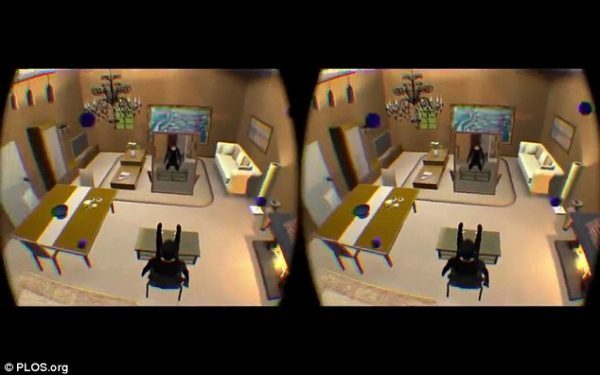 The virtual experience is similar to some kinds of near-death out-of-body experiences. Some people who survive heart failure have described seeing the hospital room from the ceiling during critical moments, says Slater. ‘Our results open up the possibility that the virtual OBE experience provides an implicit learning that consciousness in the sense of the centre of perception can be separate from the physical body, and that therefore death of the physical body is not necessarily the end of consciousness,’ the researchers concluded.